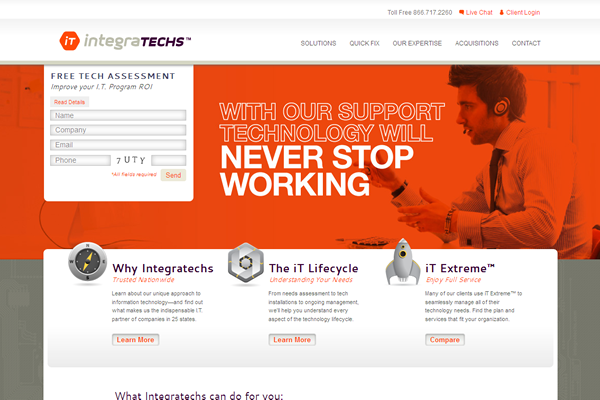 A site like Integratechs demonstrates how WordPress can be used as a full-fledged content management system. Some of the challenges in the execution of this project including creating two virtually independent blogs (one for the company blog and the other for company news releases), an extensive quick fixes type, and a several other custom categories including white papers and industry case studies — all within WordPress. Sun Swing Media was sub-contracted by Eli Kirk to execute the development of this project. Eli Kirk’s Brandon Jeppeson is credited for the design work.